Members of Alfa Group, an elite sub-unit of the Federal Security Service dedicated to counter-terrorism. 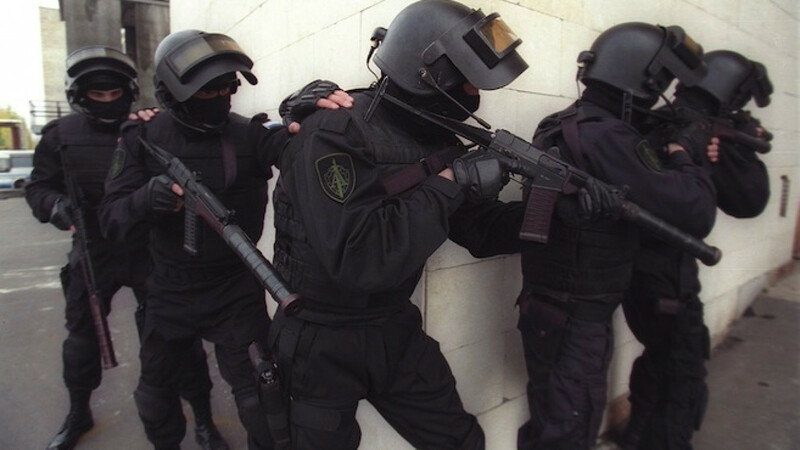 Law enforcement agencies have quashed 11 terrorist cells in the Siberian Federal District over the past two years, the Russian security service reported Tuesday. Head of the Federal Security Service, or FSB, Alexander Bortnikov, did not list the names of the terrorist groups while speaking at a National Anti-Terrorism Committee session in Moscow on Tuesday. But he said they included both foreign religious groups — an apparent reference to jihadists plaguing the North Caucasus — and domestic right-wing radicals. The total body count of militants killed by law enforcement officials this year stood at 130, Bortnikov added, without giving year-on-year statistics. The committee reported in December that 260 militants had been eliminated in the volatile North Caucasus region in 2013. Independent regional news website Caucasus Knot put the figure at 298 for the same period and at 70 for January to March of this year — 12 less killings than the year before. Last year, there were 136 violent hate crimes that resulted in 21 deaths, marking a rise in ultranationalist crime in Russia following a lengthy lull, Sova anti-xenophobia watchdog reported in February.